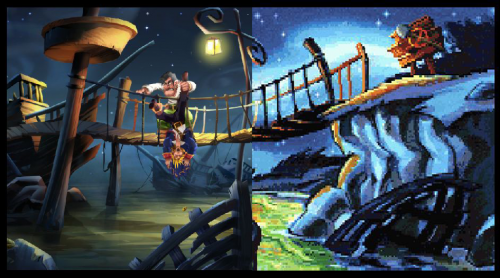 Check out this new book called "Buttonless: Incredible iPhone and iPad Games and the Stories Behind Them" for an interview with me about the development of both Monkey Island 1 & 2 Special Edition and what it took to bring these games over to iOS. You can buy the book on Amazon here. Available now for PS3, X360 and PC in Europe-only (sorry America!) is the Monkey Island Special Edition Collection! 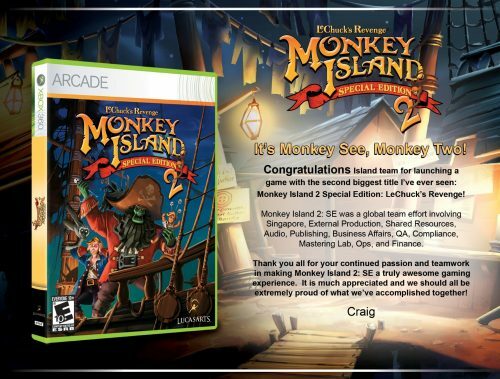 With this game you get both Monkey Island Special Edition titles, the full soundtrack for both games and for the first time ever all of the storyboards created for the Curse of Monkey Island movie previously in development at Industrial Light & Magic! How cool is that!??? 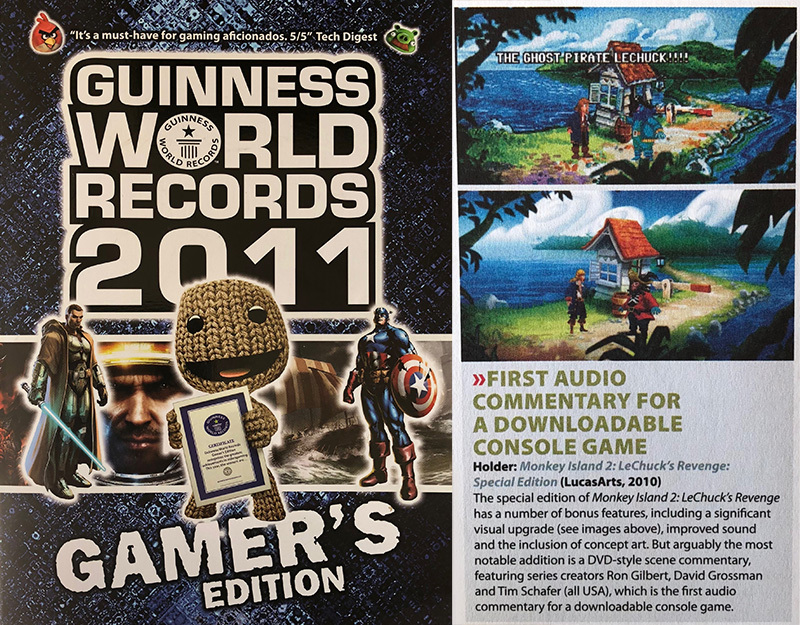 We made the Guinness Book of World Records for Monkey Island 2: SE's audio commentary! Pretty cool even if, admittedly, they hand out a lot of these "records". 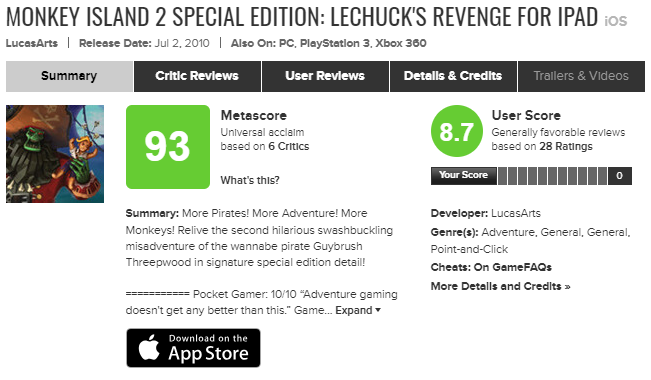 Seems we also won for "Longest wait for a sequel to a point-and-click game (8 years and 242 days between Escape from Monkey Island in 2000 and Tales of Monkey Island in 2009) and also for "Longest-running graphic adventure protagonist" (19 years and 54 days, if you're interested.) 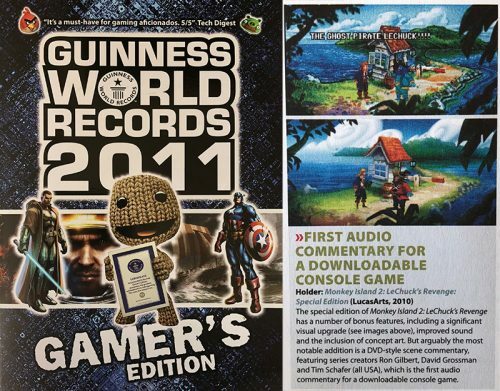 Still, it's the Guinness Book of World Records which my mom has heard of and validates this weird career of mine. Now what drink should we get to toast the team...? 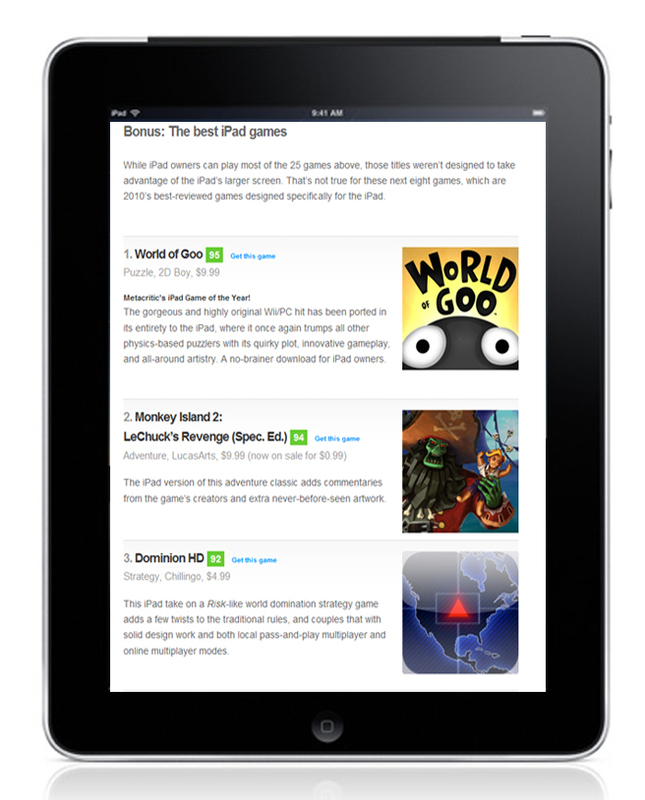 Monkey Island 2: Special Edition has been ranked as the #2 Best iPad game and #19 Best iPhone game of 2010 by Metacritic! Check out the full list here. Those Birds Make Me SO Angry! Damn! 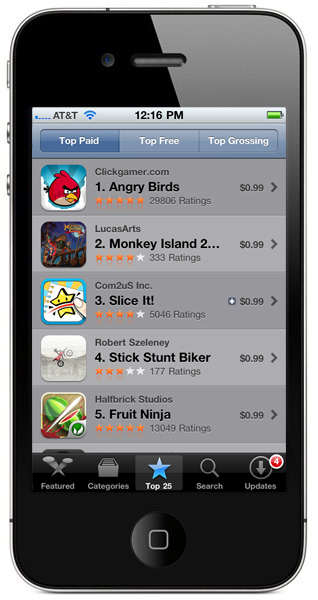 We nearly made it to the top spot on Apple's Top 25 Paid Apps list this week! Still, ranking number 2 just under Angry Birds is an AMAZING accomplishment for the team given that this is our second iPhone game ever! Congratulations to everyone involved in reaching this remarkable milestone! 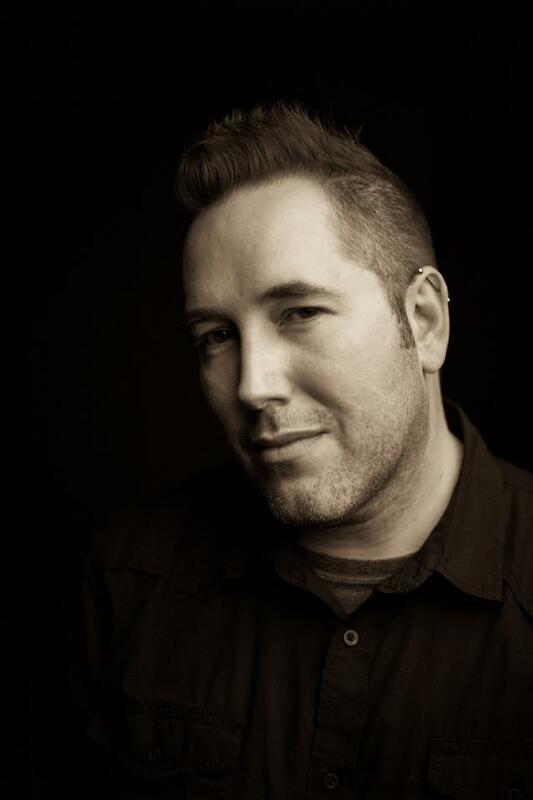 MI2:SE — We Have ANOTHER Hit! "The laid-back, story-driven adventures of the 1990s lost ground this century to more trigger-happy games, but they're making a comeback on the iPad. 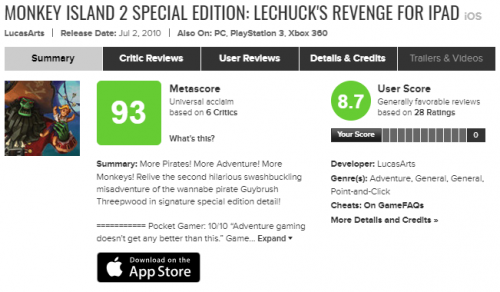 The best of the bunch is LucasArts' "Monkey Island 2 Special Edition: LeChuck's Revenge," a hilarious pirate tale that's been lavishly upgraded from its 1991 release." "Though purists shouldn’t throw away their old floppy disks, there is something for everyone to love in the Monkey Island 2: Special Edition, as the upgraded version is a wonderful way to experience one of the all-time adventure classics." 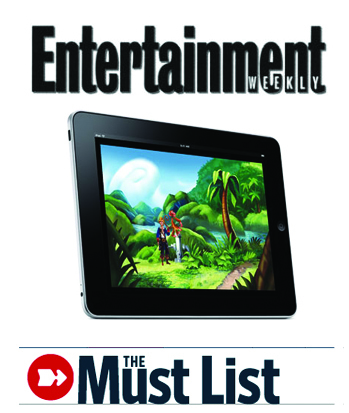 Monkey Island 2: SE in Entertainment Weekly! 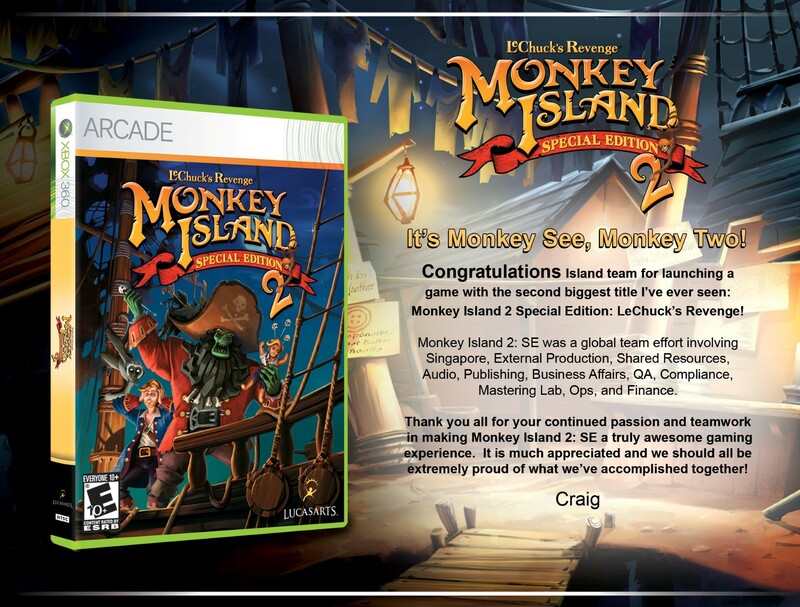 Monkey Island 2: SE Released! I'm so very proud of this game. We worked so hard to make this great, respond to the fans of the first Special Edition, and give them something special with commentary from the original guys. Hope everyone enjoys it! How AWESOME is this trailer!?? The Monkey Island 2: Special Edition trailer, making of, webdoc thingajig has been released today and just in time for my birthday! Check out just how much we jammed into this amazing game by clicking on the video above.